Purchased from: N/A - gift - Thank you Megan! Today was Day #4 of Chocolate and Seed Theme Week. 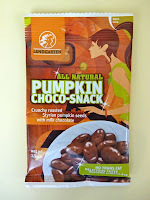 Yesterday I enjoyed the dark chocolate version of Pumpkin Choco-Snack(s) from Landgarten (Austria). 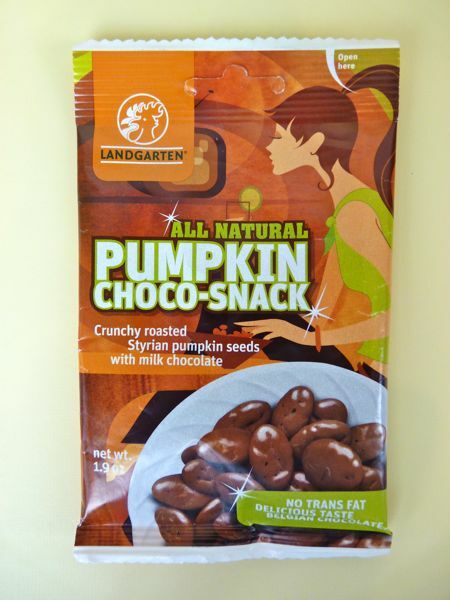 Today, I sampled the company's milk Pumpkin Choco-Snack flavor -- roasted pumpkin seeds covered with 37% Belgian milk chocolate. No surprise, this version was quite a bit sweeter; it also had a slightly floral taste. You could still taste the pumpkin seeds though -- a definite plus. 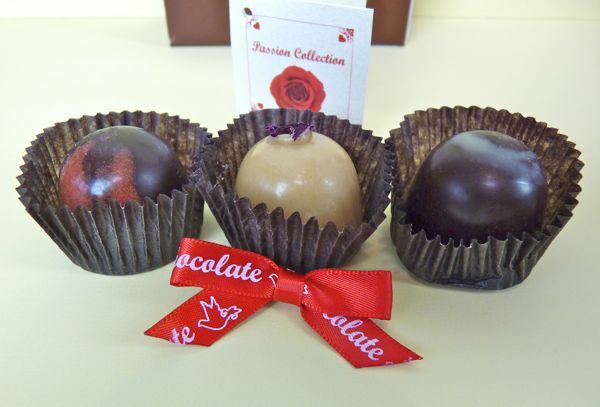 I also tried the Cupuacu (aka Cupassao, and many other spellings) truffle from Gnosis Chocolate, one of a three-piece "Passion Truffle Collection" package that also included Wild Rose (made with white chocolate and topped with a rose petal), and Cherry Vanilla. The Cupuacu is a tropical fruit that is a relative of the cacao tree. There is more fruit surrounding the seeds in a Cupuacu fruit than what can be found in cacao fruit (pods), and the seeds have a slightly different flavor. 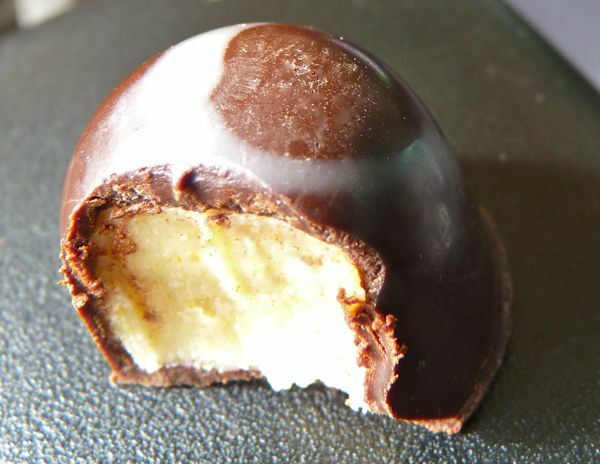 However, there are a few chocolate makers experimenting with making Cupuacu confections (e.g. Nat at Madre Chocolate in Hawaii) and making bars and truffles with it. This Gnosis Cupuacu truffle also contained passion fruit -- and had a slightly smokey and mildly tart passion fruit flavor. These Gnosis truffles were made with no refined sugar, dairy, gluten or peanuts. They did contain cashew butter.